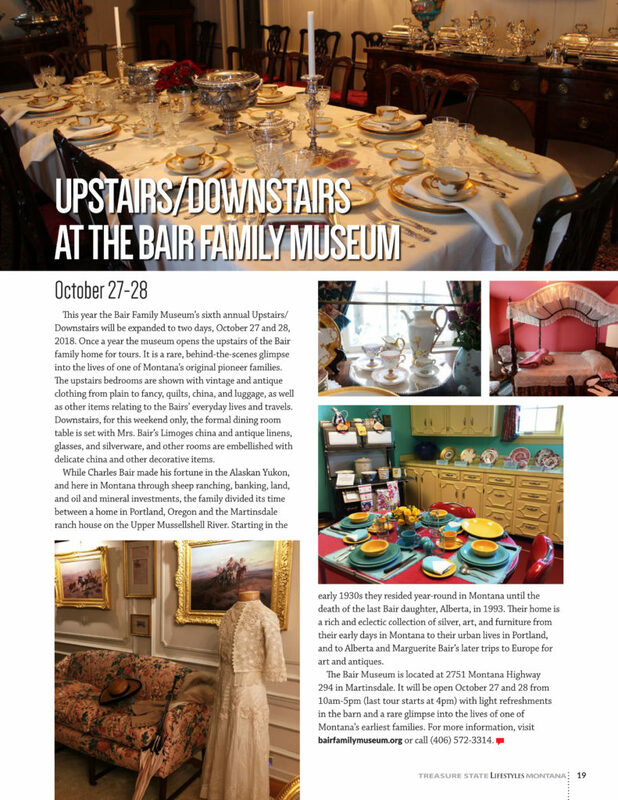 Once a year the museum opens the upstairs of the Bair family home for tours. It is a rare, behind-the-scenes glimpse into the lives of one of Montana’s original pioneer families. This year the sixth annual Upstairs/Downstairs will be expanded to two days, October 27 and 28, 2018.